Michael Griffin serves as the chief marketing officer for SMGIG and is an experienced direct response advertising executive in business-to-consumer markets. He most recently served as the president of a full-service advertising agency in the Midwest that provided a full spectrum of customer acquisition solutions — both online and offline — for its clients. He currently operates as the managing partner of LightFire Partners which supports the needs of SMGIG affiliated companies. Formerly the chief marketing officer for a large, private post-secondary educational institution, Michael understands media management on both sides of the client/agency spectrum. He continues to support a variety of organizations that align closely with his personal interests outside of the education vertical, including corporate wellness, clean energy, telecommunications, and personal finance and debt relief and debt consolidation. 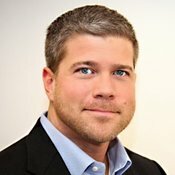 Michael has extensive background in media management, lead tracking, customer relationship management systems, creative design and direction, affiliate management and online lead generation techniques, call center startups and telecom solutions. Michael received a bachelor’s degree in Journalism from the internationally recognized Missouri School of Journalism, and his master’s in media management from Webster University.